Cheesecake is one of the universal desserts, with thousands of versions across global food cultures. Ancient Greece is believed to be the original home of cheesecake – historians have evidence to suggest cheesecake was served to athletes at the first Olympic Games in Athens 776 BC. While the original cheesecake was a simple affair of flour, wheat, honey and cheese, those four ingredients are often the same core ingredients of any cheesecake made today. Around the world, cheesecake recipes vary. Italians use ricotta cheese, while the Greeks use mizithra or feta. Germans prefer cottage cheese, while the Japanese tend to use a combination of cornstarch and egg whites. Bake and Brew, next door to the library feature a fabulous baked and a set cheesecake on their menus, available for purchase with a tea or coffee for $8. No matter how you slice it, cheesecake is truly a dessert that has stood the test of time. Sue, the head chef from Bake and Brew, has kindly provided the recipes for both her baked and set cheesecake. First, make the base. Mix the biscuit crumbs and butter until combined. Press into the base of a 20cm springform pan and chill for at least 30 minutes. Beat the cream cheese in a bowl until smooth. Add sugar, then the lemon juice. Soak the gelatine leaves in the cold water. Once soft, gently heat the gel on the stove until fully dissolved. Whip cream until soft peaks form, then fold into the cream cheese mix and then add the warm gelatine. Pour mix over the base in the tin and refrigerate overnight for best results. Process cream cheese, ricotta and cream in a bowl until smooth. Gently fold through flour, cornflour and sugar. Add eggs, one at a time, processing until just combined. Gently fold in butter, vanilla and lemon juice. Pour mix over the base in the tin and bake for 1 hour in a 150° oven. Move over cronuts. Witness the birth of the Lemon Curd Cupcake at the Bake & Brew café. This luscious hybrid is indeed a cupcake but it is the size of a muffin! Experience delicious, tangy lemon curd embedded in a light, fluffy sponge base, topped with fresh cream and a cake hat. This beautiful creation is baked in-house. It is the ideal accompaniment to your favourite beverage. 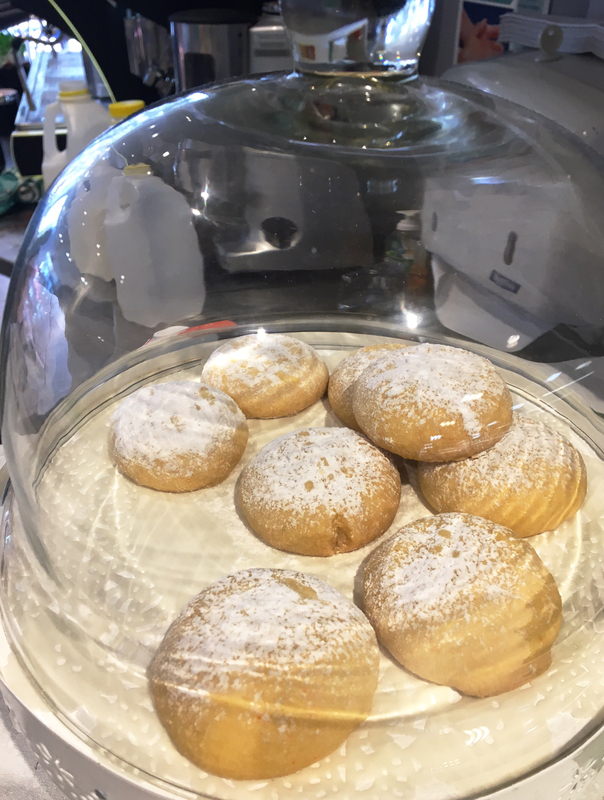 Bake & Brew café is situated next to the Tea Tree Gully Library in the Civic Centre. You can enjoy the lemon curd cupcake for $5.00. The Bake & Brew café is open from 8.45am to 4.00pm from Monday to Friday. Telephone: (08) 8397 7383.